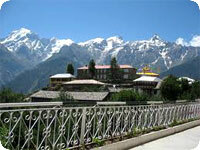 The state is divided into three different provinces namely Jammu, Kashmir, and Ladakh. Each province is different in all aspects, right from the landscapes to the religion followed. Leh, the capital of Ladakh, is breathtaking. The cold desert land, over the magnificent Himalayas is a beautiful and scary experience at once.. The land of eternal snow peaks, Himachal Pradesh is where the plains of the subcontinent are swept up into the peaks and fold of the mighty Himalaya. Rajasthan, the land of the kings, is India's most colour-charged state Half desert, half bony hills, the everyday is shot with searing colour - brilliant fabrics flash like flames against the stark landscape. 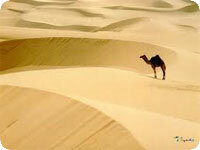 Uttar Pradesh is Often referred to as the cow belt or Hindu belt, India most populous state. 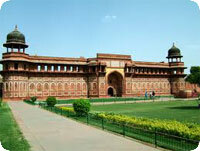 Uttar Pradesh covers the vast sprawling central plain of northern India.